Epididymitis is an inflammation or infection of the epididymis—a long coiled tube that is attached to the upper part of the testicle and is used to store sperm. It's a rare complication that, if it occurs, usually hits during the first year following a vasectomy. Occasionally, however, it can manifest years after the procedure. 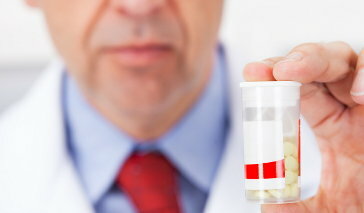 Consequently, since epididymitis can be caused by bacteria (and may or may not be a direct complication of vasectomy), treatment often starts with a course of antibiotics to get rid of the infection, combined with conservative therapies of reduced activity and pain management (including non-steroidal anti-inflammatories such as ibuprofen, scrotal support, and applying heat or cold). If you still experiencing significant discomfort after a few months of conservative pain management, additional treatments for chronic pain may be necessary. These include the use of local steroids, tricyclic antidepressants, or transcutaneous electrical nerve stimulation analgesia. For the few whose pain is not relieved by non-surgical approaches, surgery can offer relief. These days, urologists have made some modifications to the vasectomy technique to decrease a man's risk of developing post-vasectomy epididymitis. Because one potential cause of inflammation is pressure from sperm building up in the epididymis, an open-ended vasectomy procedure—in which one end of the vas deferens is left uncauterized, thereby relieving pressure and decreasing the likelihood of sperm granulomas, or masses that develop in an immune reaction to sperm that have leaked from the cut vas. Another technique is preemptive analgesia, in which the urologist floods the vas deferens with a local anesthetic before it is cut. Early evidence suggests that both these procedures can reduce the chances of epididymitis post-vasectomy, but further study is needed for conclusive results. There is still much researchers and physicians don't yet understand about epididymitis as a post-vasectomy complication, including what causes it and how to further prevent it. Controlled studies focusing on newer vasectomy techniques, the role of sperm granuloma in the condition and the role of the immune system post-vasectomy will help build a more comprehensive understanding of epididymitus and how best to treat it.